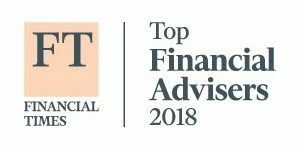 Financial Times Top RIA 2018 - Porter White Co.
Porter White Investment Advisors, Inc. is pleased to announce that it has again been named as a Financial Times 300 Top Registered Investment Advisors for 2018. The list recognizes top independent RIA firms from across the U.S.
RIA firms applied for consideration, having met a minimum set of criteria. Applicants were then graded on six factors: assets under management (AUM); AUM growth rate; years in existence; advanced industry credentials of the firm’s advisers; online accessibility; and compliance records. There are no fees or other considerations required of RIAs that apply for the FT 300. The Financial Times 300 Top Registered Investment Advisers is an independent listing produced annually by the Financial Times (June 2018). For more information about our wealth management practice, click here. This award does not evaluate the quality of services provided to clients and is not indicative of the practice’s future performance. Neither the RIA firms nor their employees pay a fee to The Financial Times in exchange for inclusion in the FT 300.